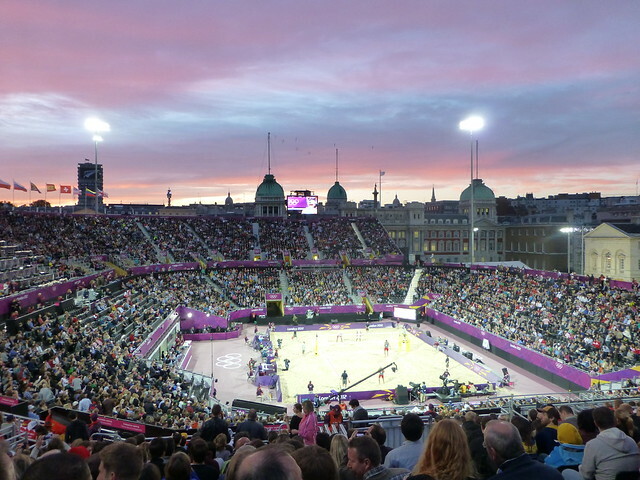 Blimey it was mad at the Beach Volleyball on Monday night. 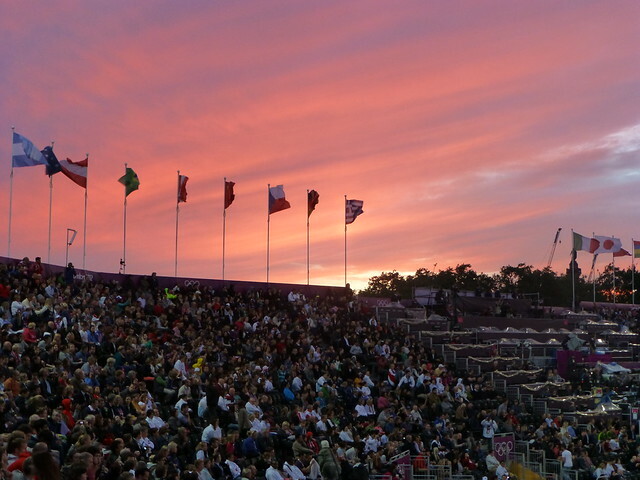 A beautiful setting in Horse Guards Parade, a great arena had been built, lots of singing, stamping of feet, clapping, dancing, and such a great atmosphere. Oh, and fun to watch the sport too!